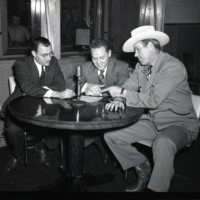 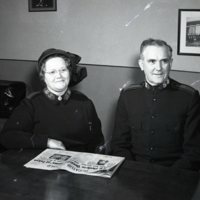 Negative of Brig and Mrs. McClellan sitting at a table in their Salvation Army uniforms in 1943. 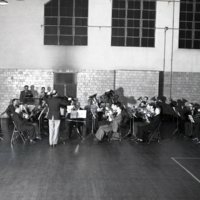 Photograph of the Goodman Band practicing in a gymnasium in 1943. 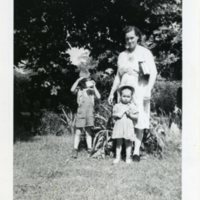 Photograph of Marjorie Wittke with Ernie and Mary Catherine on July 4, 1943. 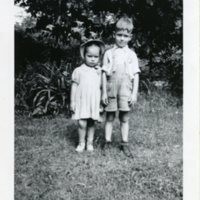 Photograph of Mary Catherine and Ernest Anthony on July 4, 1943. 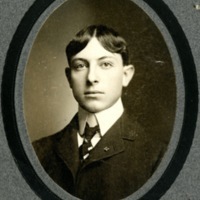 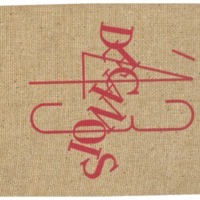 This is the 1943 Decatur High School Decanois yearbook.